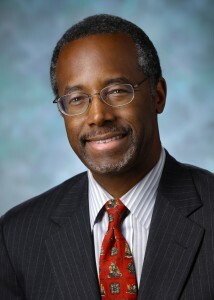 Dr Ben Carson, the neurosurgeon who became the darling of conservative media after remarks critical of Obamacare in front of Obama, has made waves with conservatives yet again. No, it’s not because of his newest remarks about Obamacare likening it to slavery. It’s over his position on guns. Dr Carson seems to have a problem with people in certain areas owning certain types of firearms. It’s important to understand his position in context. Note how he thinks it should be a local issue, not a federal one. Even then, his stance is problematic. In US v Miller, the Supreme Court considered the militia purpose of a sawed off shotgun. Since it could find none, it ruled that ownership was not protected under the Second Amendment. The court then later ruled in McDonald v Chicago that the due process clause of the Fourteenth Amendment extended to the protections of the rights of all citizens enumerated by the Bill of Rights. Marrying these rulings together tells us that the right every citizen has right to possess any firearm that has a military purpose and that no state may infringe on that right. So try again, Dr Carson. Our right to possess semi-automatic firearms, even in urban areas, is protected. You may not like it, but removing those protections will require changes on the federal level.